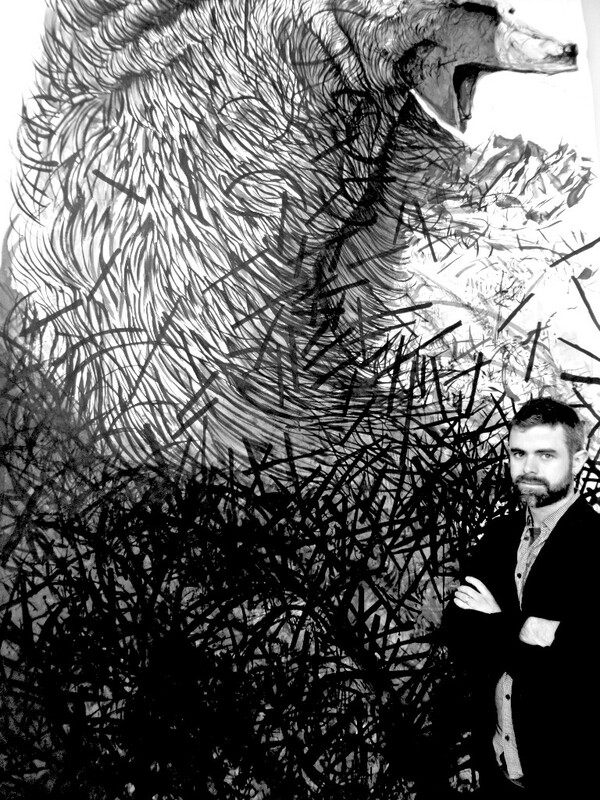 FSU Art MFA ’09 Matt Miley is a new addition to Galleri Duerr in Stockholm, Sweden. His first solo exhibition in the city is set for April 7, 2016. Life-size bears, mythological characters, birch tree forests, snow, Louisiana swamps, abstraction: These are some of the elements that one finds in Matt Miley’s art. In a transparent landscape, perhaps in the landscape of one’s self, his work depicts uncertainty through images of humans and animals in a state of becoming or becoming undone. Matt’s work has been exhibited internationally. Moving from New York City, Matt burst onto the Stockholm art scene with Galleri Duerr during Stockholm Art Week and The Affordable Art Fair in 2015 with his 3 meter tall paintings and bold approach.